HB109, the bill that reforms IT in Utah passed a floor vote on the Senate with one, minor amendment that the Senate Government Operations and Political Subdivisions Committee added. The amendment further limits the definition of "executive branch agency" to not include elected executive branch officers such as the Attorney General and Auditor. That's a minor change, so I expect the House to agree. Assuming the Governor signs it, HB109 will be law. Interesting that the UPEA didn't put up more of a stink on this. I have to admit, this is fun to watch--from a distance. 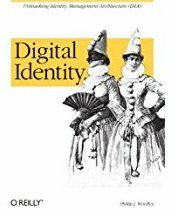 For the last week or so, I've been working on incorporating the technical reviews of my digital identity book into the draft. I'm also trying to finalize it for O'Reilly. I found the best way to catch small typos (and I make a lot) is to read the draft out loud to myself. That's really time consuming. In the old days, before spell checkers, I used to read things backwards to force myself to look at each word for spelling. Bill Bercik has a nifty little tutorial on using XMLHttpRequest. His purpose is "to demonstrate through a series of baby steps just how easy it is to use the XMLHttpRequest object." The example is a simple form that fills in, using XMLHttpRequest, the city and state after you type the zip code. 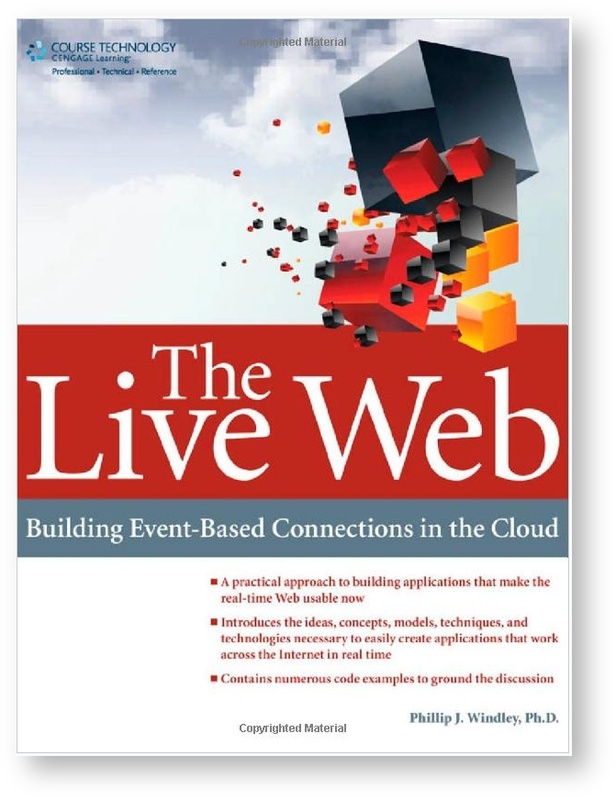 He does it in seven steps: Create the form Add the event handler Create the XMLHttpRequest Object Talk to the server using an HTTP GET Build the zip-code database Build a PHP handler to respond to the GET request and return the right values from the DB. Don Box is trying to decide which programming language to teach his kids. His list of candidates includes: lisp, ML, Smalltalk, and Ruby. Personally, I'd recommend Scheme in the DrScheme IDE. We'll be holding this month's CTO Breakfast this Thursday at 8am at Canyon Park's food court. Hope to see you there. Meanwhile, today I'm taking the kids skiing. Sundance got 21 new inches over the weekend. CMSWatch, which covers the Content Management System space released its Twenty to Watch in 2005 list and I'm on it--albeit number 20. Good thing it wasn't Nineteen to Watch! NextPage has released their new document management system, called NextPage 1.5. I've done a review for InfoWorld of the product that should be coming out shortly. The sneak peek: NextPage has managed to create a document management system that actually stands a chance of being used because it doesn't require any central server be installed and doesn't require that users change their work habits--at all. My column for February's issue of Connect Magazine has appeared. Its called Independent Identity--Take It or Leave It. I put a couple of new pieces up at Between the Lines on identity today: Going After Phishers talks about how to proactively go after the people stealing your customer's identity. Real ID discusses US House legislation to create a national ID system out of the state driver's licenses. Val Oveson, Utah's most recent CIO, announced today that he's joining CGI-AMS as VP of Strategic Business Development. Congrats to Val. Seeing his title made me wonder though, are their companies that have VPs of Tactical Business Development? I thought all bizdev work was supposed to be strategic. Nate Ekstrom, one of my grad students, is starting to get some interesting results on his VMWare performance testing. The latest shows the importance of distributing across LUNs on the SAN. These results aren't things people don't already know, they're designed to build the test infrastructure and ensure we understand, and can back out, performance bottlenecks from the hardware. So far, so good. Several interactions I've had recently with groups building Web applications have led me a renewed appreciation for the power of running code in a development project. Both of these organizations were some time into a large development project and still didn't have running code and regular, consistent release cycle. This wisdom gets great lip service, so it surprises me to see people who should know better not following it. Any development project, but particularly those for the Web, ought to plan to release running code that someone (even just the QA group) can hit, exercise, and start to profile. If you haven't seen Google Maps yet, go check it out. I'm sure you'll be impressed. Google continues to show us that thin clients and rich applications don't have to be mutually exclusive. What's amazing is that what Google's doing is just a drop in the bucket. Canyon Bridge Technologies has shown me things I would have never believed you could do in a browser. jgwebber has deconstructed what Google's doing with their maps. I like the rolling map idea. That's very creative. The Salt Lake Tribune has a piece this morning on Utah legislators who blog. Right now, the only one who's really active is Rep. Steve Urquhart from St. George, but others are promising to start. I wish there were more. I recognize that some people in public service are reluctant to be too open (and often for good reason), but its refreshing to see how someone who is supposed to be representing you really thinks. Blogs are perfect for that. My December column for Connect Magazine is now available, so I'll point to it here as well. Its called Walled Gardens and Network Effects and laments the lack of network effects in the cell phone industry. I struck a similar theme in a recent post at Between the Lines. I just got off the phone taping an interview with KCPW on HB109. I don't know when it will run. Before the tape was running, we had a little conversation that went something like this: They ask "Why should we care?" I said, "I'm not sure you do, this isn't public policy, its government efficiency." "How much?" "$20 million per year" They said "Wow! Mind if we start taping?" JP Morgan Chase recently dropped a big, multi-year IT outsourcing deal they had with IBM. IBM's performance wasn't the issue, but financially it had stopped making sense. Baseline Magazine has a detailed story about the development. The company's CIO, Austin Adams, said at the time: "We believe managing our own technology infrastructure is best for the long-term growth and success of our company ... to become more efficient." What really changed things was the July 2004 merger of JP Morgan Chase with Bank One, which had gained a reputation for consolidating data centers and eliminating thousands of computer applications.